Joe Henry counsels the nervous parents of new students at King's University College in London. It's the start of a new school year and a stressful week for students beginning their post-secondary studies. But imagine how their parents feel. That's part of Joe Henry's work at King's University College in London. As the school's dean of students, he counsels the parents of many new students through the anxiety of having their children move away from home. "We ask parents to think of themselves as coaches," said Henry, in an interview with CBC Radio's Afternoon Drive. "We help them think about how they can best support the students as a coach, and not necessarily [as someone who is] 'directing the play.'" Henry says most parents are feeling a certain degree of angst this time of year, not unlike their children heading off to college or university. He encourages clear lines of communications between parents and students, but also says parents should to help their kids make it on their own. "We want [parents] to stay connected, loving and supporting their kids. But at the same time, people need to be their own problem-solvers. We help parents say 'it's good to be connected, but it's also good to step back." 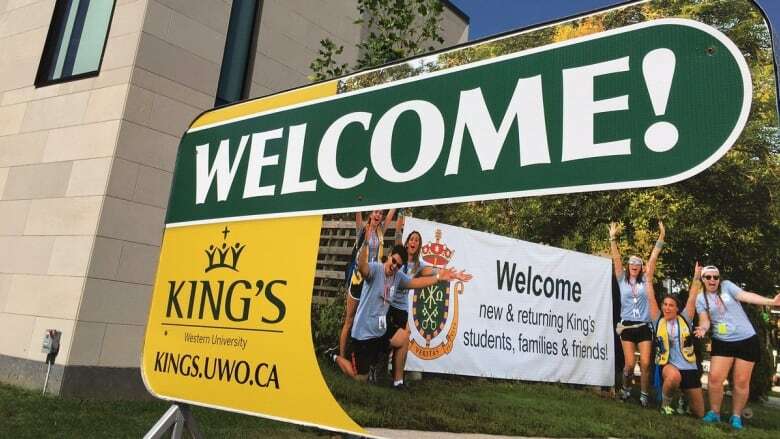 This year, for the first time, King's University College has implemented an 'Early Alert System' to help struggling students connect with the appropriate mental health resources on campus. For more of Henry's advice to anxious parents, listen to the full Afternoon Drive interview.